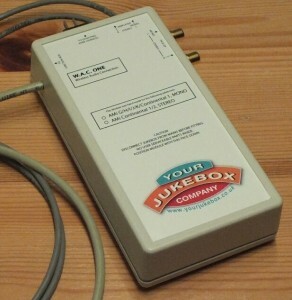 Play your music files through your jukebox using this wireless module! 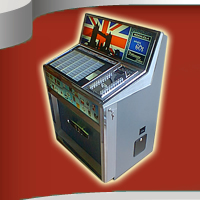 Classic jukeboxes are all about playing vinyl records however, wouldn’t it be great if you could also play your music files from your phone or tablet. If there are certain records you can’t find or you just want background music, the convenience of adding a wireless connection can be shared by the whole family. Maybe you’ve recorded a song with your band, a friend wants to play you a new music video or your children/grand children want to play their latest pop tune – it’s all possible with W.A.C. ONE! 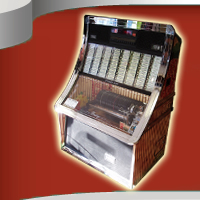 The best part is it simply plugs into your jukebox’s existing wiring, no modifications or holes to be drilled. It can easily be removed at any time so your prize possession will not be devalued. W.A.C. 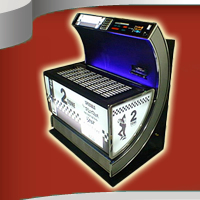 ONE is not intended to replace your vinyl collection but take advantage of the vast numbers of music files available. 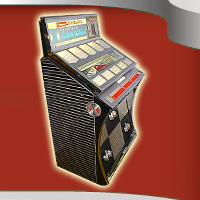 You may also notice some mp3 and other low resolution files can actually sound better played through a jukebox with its warm, mellow tone. 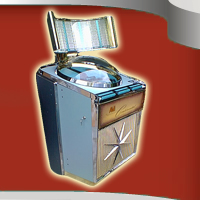 Once fitted your jukebox will operate exactly as it did before. Decide what device you want to connect, phone or tablet, turn it’s Bluetooth on, search for W.A.C. ONE id code and pair. 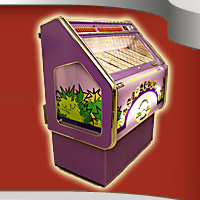 After 30 seconds the jukebox sound system activates and you are ready to play your music files. 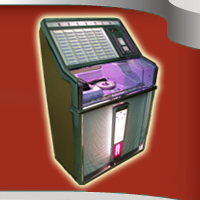 The volume is controlled on the jukebox in the usual way. At any time if you want to play a record just make the selection and it will automatically switch over. Once the record finishes it will automatically switch back to your music files. 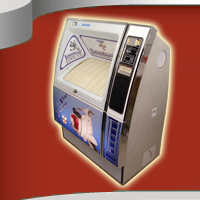 Suitable for AMi jukebox models: H, I, J, K, Continental 1 and 2.
including postage (UK) and 6 months warranty.